Men perform on six pieces of apparatus for the Olympic discipline of Men's Artistic Gymnastics. This discipline offers a variety of exercises for men and boys regarded by many as the most technically demanding of all sports. Each of the six pieces of apparatus require agility, strength, balance and co-ordination. Floor - This exercise includes tumbling, balance and strength skills and is performed on a sprung 12m x 12m floor. Pommel Horse - This exercise includes smooth, continuous pendulum type swings and circling movements of the legs. All parts of the horse should be used with a combination of double leg circles and scissor movements. It is generally regarded as the most difficult apparatus to master. Rings - These routines include a variety of movements demonstrating strength support and balance. 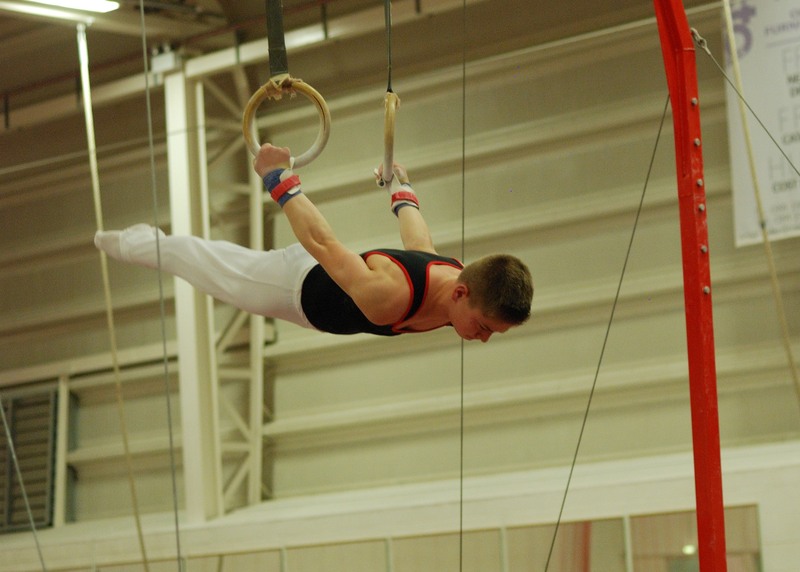 Gymnasts perform swings and holds requiring considerable strength with both forward and backward elements finishing with an acrobatic dismount. Vault - This is a dynamic exercise from a springboard over a vaulting table. It demonstrates power and accuracy combining height and length, often with multiple rotations at the highest levels to finish with a controlled landing. Parallel Bars - A combination of swinging elements and balances are performed between and across the bars whilst gymnasts travel along the bars and work both above and below the bars. High Bar - Using swinging and flight movements at 2.55m high this piece of apparatus is considered one of the most spectacular aspects of gymnastics.